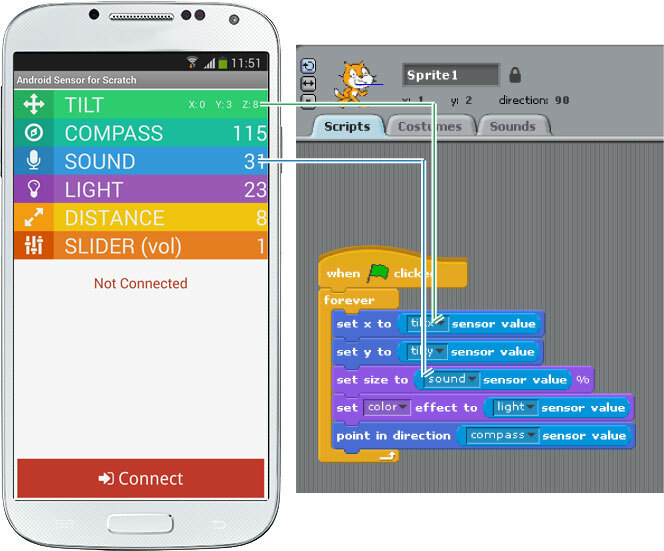 You can use your smartphone’s various sensors for Scratch (MIT Media Lab). 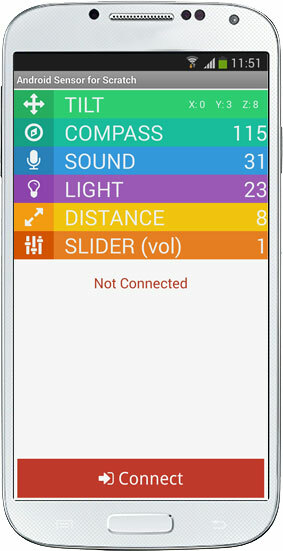 Supports multiple (two or more) smartphones. Support Android 2.2 ! 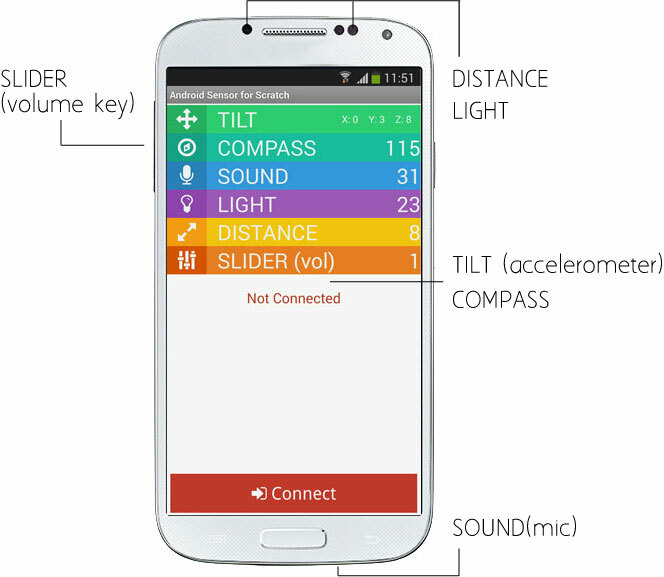 You can use for re-use of old smartphone.